Hi Folks – it another Monday night action report and this time the Shed saw the return of Fist Full Of Lead – Horse and Musket. The theme of Monday’s night game was a return to our continuing adventures of Sharpe in the Peninsular. I decided that the table would a relatively simple affair featuring a few buildings I have constructed for this period. Set in the middle is the complex described as the Convent with the attendant church next door. This was the first time we used my moss green fleece throw. It’s a completely different green to the one we have been using before and the colour just seems perfect for a Mediterranean feel. Throws are becoming more normal in the shed these days as they allow hills and high ground to be seamlessly fitted into the landscape. Furthermore the pile of the cloths help the roads and rivers ‘blend’ into the ground. I have two these throws (each 2.4metres long) which is sufficient to cover most of the big table. Rather fortuitously I had some time on the train travelling home from work that allowed me to develop the scenario. We have found through trial and error that these types of games have to have a scenario set. This forces the players to make decisions, it creates a narrative and delivers a verdict when it is all complete. The more background you can add to the scenario the better. One of the advantages of playing Sharpe and his chosen men is that the backstory has already been created and folks have a notion of how the characters should play. Lieutenant Sharpe- following the last fracas in El Dudno I assume that you are now quite recovered from your exertions. The fact that you were unable to secure Marshal Messina’s plans is no matter – we beat them soundly at Talavera. It has come to our attention that the partisan known as El Trumpo has gone rogue and is believed to trading information and fake news with the French. Your mission is quite simple apprehend El Trumpo and bring him to justice. It is very important that you capture him alive and bring him back for trial. We know that El Trumpo is holed up either in or near the Convent of Her Blessed Virgin near the village of Saint Joseph. The area is behind French lines so beware of French patrols. 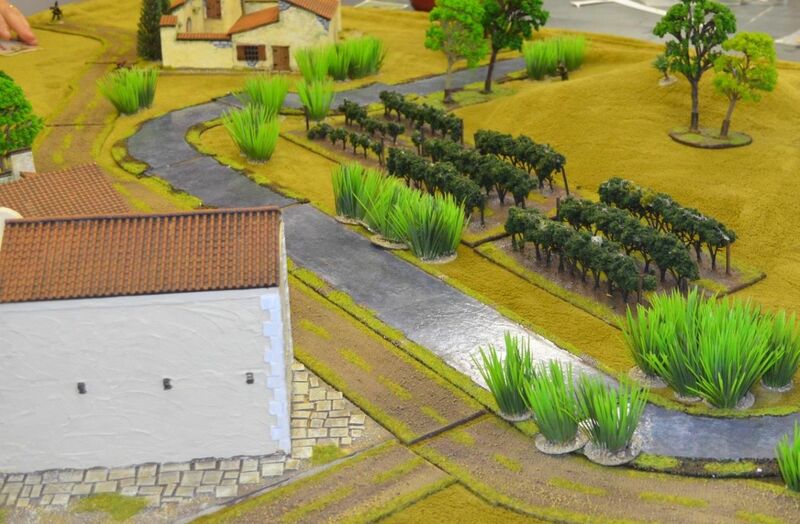 Sharpe and his chosen men are approaching the convent from the south west (the building on the banks of the stream) – its dawn and a mist lies across the valley. At present the mist reduces all visibility to 8” but with the sun rising it is expected to burn off quite quickly. Each turn roll a d6 and add this sum to the number of inches of visibility – when the sum gets to 24 the mist has burned off. 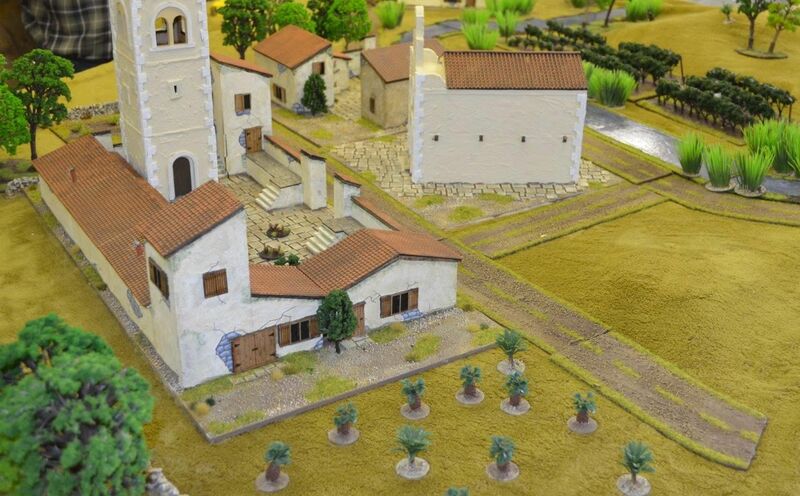 El Trumpo can be placed anywhere in the Convent or the Church (player decides) his remaining men are placed off table but are in the following locations. El Trumpo is not allowed to leave the environs of the chapel/convent. 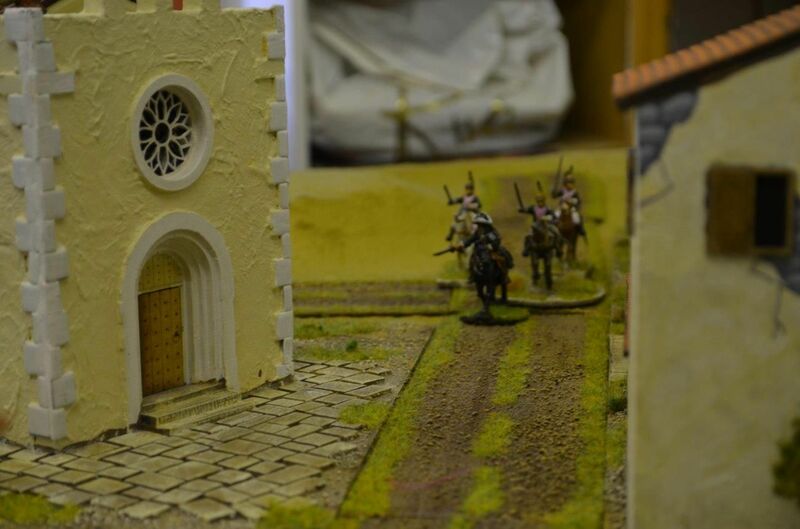 Unbeknownst to Sharpe the French Spy Ducos is in the area intent of catching up with El Trumpo to get the latest intelligence – Ducos is riding with five French Dragoons – they are all mounted. The French enter on the road from the North. They have stuck to the road and are less likely to get lost because of the mist – if they roll a six then dice as above. 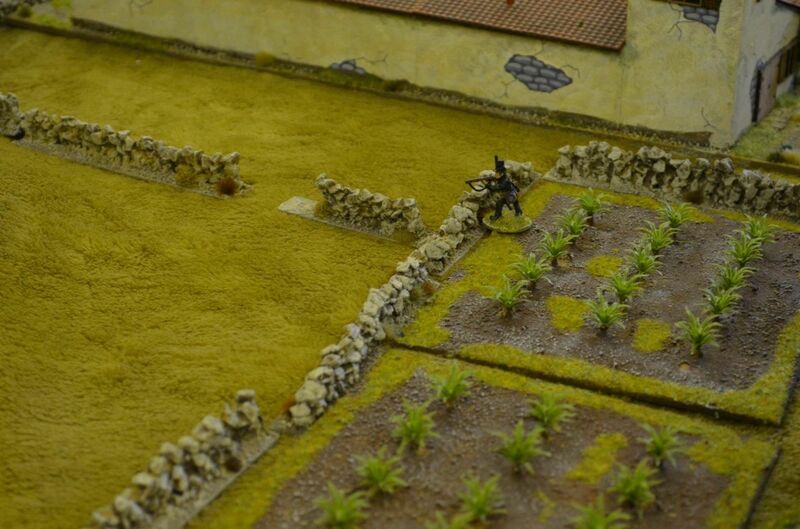 The French/Guerillas win if they successfully drive off the British and ensure El Trumpo stays alive.